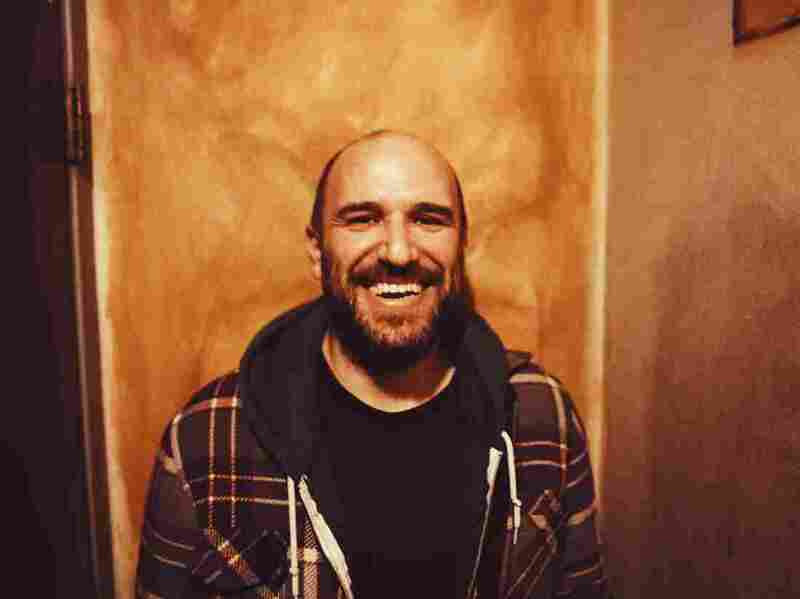 David Bazan Resurrects Pedro The Lion After More Than A Decade Before his indie rock band Pedro the Lion dissolved in 2006, David Bazan had been questioning his relationship with God. Now, he's back touring and working on a new album under the old moniker. David Bazan is taking back his music moniker, Pedro the Lion, after more than a decade. Pedro the Lion is known for its sometimes dreamy lyrics that take on internal conflict, often filled with religious angst. Even as many of their songs tackled faith, the Seattle-based band, formed in 1995, quickly gathered a wide indie rock following. A decade later, the band and its frontman David Bazan reached a tipping point — as Bazan questioned his religious beliefs, the band dissolved when he embarked on a solo career. Fast forward to 2017: Bazan announced that he would start touring again with a group of musicians under the familiar name, Pedro the Lion. Bazan spoke with NPR's Sarah McCammon about going back on tour and making new music under his old moniker. I was looking for a way to be in a band again. I had been playing solo under my own name and in a band under my own name off and on for years and I was trying to find way to regularly play with a band again. One thing lead to another, and it became clear that the way to do that was to revive the band name Pedro the Lion and once I made that decision everything kind of fell into place and it felt really right. I don't totally know but I can guess. I think there's an earnestness that I wrote with and an openness with which I sang about doubt and faith issues, at a time when I don't really think that was going on much. And also I think I did it in such a way that wasn't too hard on people who weren't coming from a place of faith. It wasn't slogans or trying to convert anybody it was just me trying to process what was going on inside my head. I guess that worked for some folks. I grew up under a system that I was trying to square my own feelings with constantly, and once I got out from under that system its just been up to me. And so its taken some time, I've tried to be patient but, slowly, I've found more peace than I have had before. I guess an analogy that I come back to a lot is planting a garden. There's just a lot of natural kind of sowing and reaping-based dynamics at work in everybody's lives and I've been trying to focus on those. The biblical tradition — or loosely the Christian tradition — is where I learned morality and ethics, and often those are the pictures that really best illustrate some of the more profound aspects of ethics and morality to me. My wife and I, our daughter was born in 2004 and it caused me to look at Genesis, the creation account and especially the account of the fall and original sin, in a new way. In their innocence, Adam and Eve make a mistake that separated them from God forever. And having a new baby girl who, in her innocence, I couldn't imagine removing myself from her or casting her out of my presence for any reason. I just found I couldn't respect a being that would do that or certainly not be moved to love that being. So from there, things started to unravel and I started looking at some other parts of the puzzle and hoping to shore things up and they didn't get shored up, they just started to crumble more the closer that I looked. It was really, really disappointing. I was crushed. I'm writing a record that pays homage to the town that I grew up in, Phoenix, Ariz. So there's a bit of concept record that I've dabbled in before. I'm drawing from all of the Pedro music tonally, and all of the Bazan music — just everything that I've done I feel like can come to bear on this Pedro record and it seems to be doing that.